Welcome to Quintessential Myofascial Release and Wellness! I am excited that you have found your way to my website and hopefully soon, to my Wellness Center! Is pain keeping you from enjoying life? If so, Myofascial Release (MFR) can help! Bonnie Nussbickel, LMT is a New York State Licensed and Nationally Certified Massage Therapist with over 20 years experience. 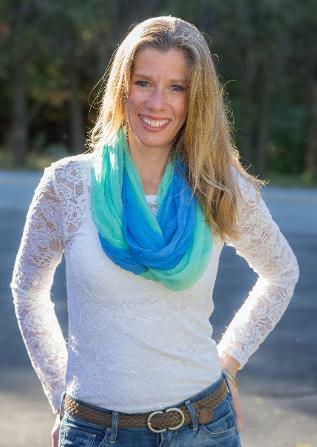 She is an Expert level John F. Barnes Myofascial Release Practitioner. For years, Bonnie has been helping others get out of pain and move forward with their lives. The goal of treatment is to create positive, lasting changes. Bonnie's experience in myofascial release, craniosacral therapy, personal fitness training, pilates, yoga, yoga therapy, nutrition, meditation and corrective exercise brings variety to her treatment approach. She structures her client's programs according to their individual needs and preferences and encourages exploration of complementary approaches to healing where appropriate. Please spend some time reading the information on the following pages. You may see a bit of your self mentioned. Do you feel physically or emotionally out of balance? Are you stressed out and finding that you are not able to relax? Is your body in pain and asking for relief? Are there "issues in your tissues"?